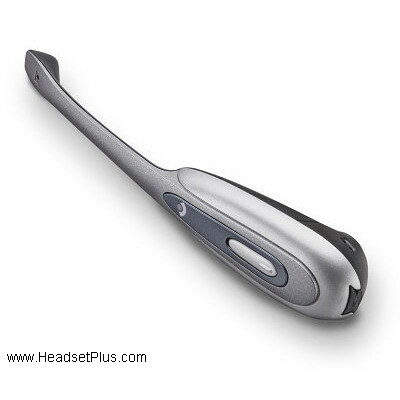 This is the Replacement headset only for the Plantronics CS50 wireless headset system or Plantronics CS50-USB wireless computer headset. It's also the replacement headset for the Avaya AWH-55 and Avaya AWH-55+. This is the replacement headset If you lost or broken your Plantronics CS50 headset. This part will not work on its own so only order this item if you already have the complete Plantronics CS50 system and only need to replace the headset itself. Note: This replacement headset DOES NOT include the CS50 ear loops or CS50 Headband. They are sold separately. Important: This is only work for the CS50 base, it will NOT WORK with the CS55. They operate on different frequencies. NOTE: Before syncing the system make sure the IntelliStand switch (on the right side of the charging base) is in the "_" position and NOT the "=" position. 1. Return the headset to the charging base. 2. Press and hold both the + and - buttons on the back of the charging base until the red light on the front of the base starts to flash. 3. Let go of both buttons. The red light should continue to flash. 4. Press the mute switch (black wheel on the top of the headset) straight down until a green light appears on the headset. Then let go of the wheel, and the light should remain on the headset. 5. Disconnect the AC power adapter from the bottom of the base unit for 5 seconds, then reconnect it. 6. Pairing is finished when the red light on the base is fully illuminated and the green light on the headset disappears. 7. Remove the headset from the charging base, and press the talk button. The headset and base should now be connected. This product was added to our catalog on Wednesday 23 February, 2005. We built an office in our house and set up two desks with CS ..